The best ideas are simple. So is the idea behind Fuse. Our intention in creating Fuse in 2010 was to unite architecture and interior design in a manner that completely removed the boundary between the two disciplines. 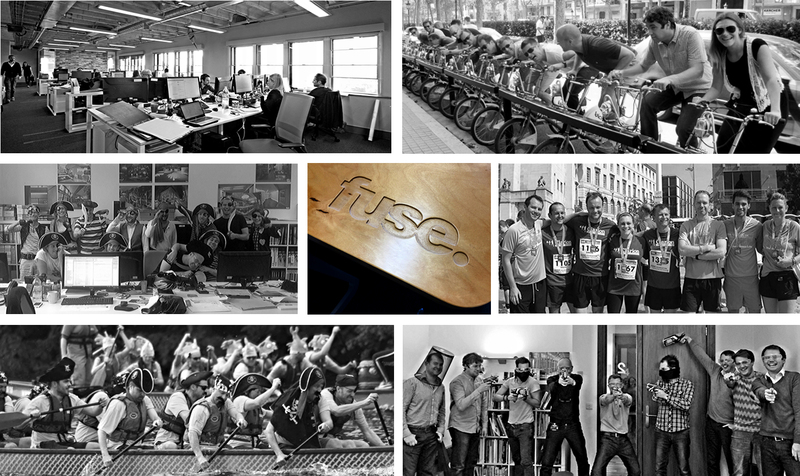 As a result, Fuse is not an architectural practice which happens to include an interior design team. Nor is it two teams working independently and collaborating occasionally. Fuse is one extremely talented team with exceptional skills in both architecture and interior design across multiple sectors and across international boundaries. Every single project benefits from both skill sets – whether an architectural or interiors commission, or both. The Fuse team is led by four principals – two specialising in architecture and two in interior design – with a combined ninety years experience at the highest levels of the construction design business. We aspire to be respected and trusted advisors to all our clients; giving straight-forward, honest advice, even when it is not always the answer our clients expect to receive. It is also important to us that Fuse remains an arrogance-free zone. Just because there are a lot of talented people around, does not mean that there have to be any over-sized egos. Taking our work very seriously does not mean that we take ourselves too seriously. We come to work to create great architecture and interiors and believe the process should be a hugely enjoyable experience for everyone. Working with us usually involves a lot of laughter – just ask our friends in the industry. And that makes a real difference for our clients.